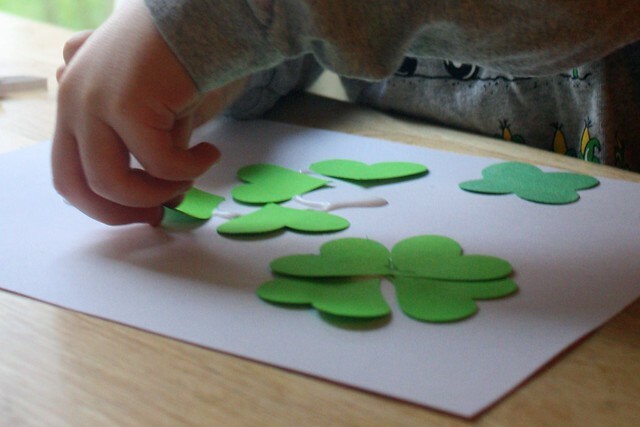 couldn't resist celebrating saint patrick's day with some green foods and crafts. 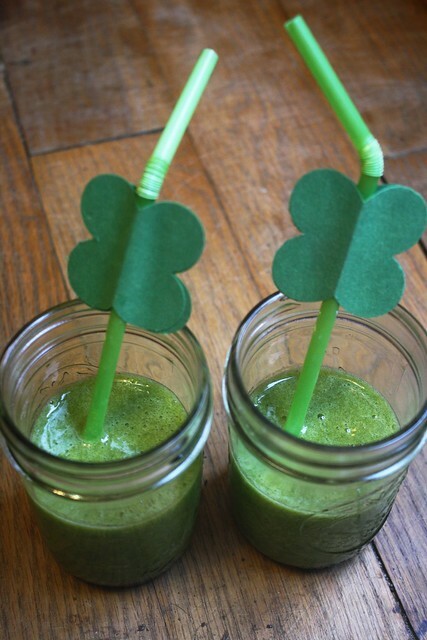 the smoothies are: frozen banana, kale, and coconut water. they were especially appreciated since they were a 'special holiday thing with fancy straws'. marc also made a yummy green-egg casserole (that i did not photograph well). after blending some greens with egg, and not succeeding in getting the desired effect, marc had the clever idea to add a few drops of chlorophyll to the mix. brilliant green! 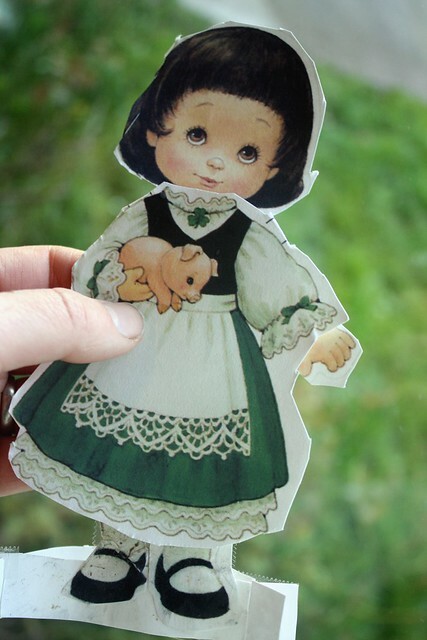 and one more - colden cut out this little paper doll (from this site). and marc had cut one out for azalia to play with too. i think we all had fun celebrating a wee bit.